The two-time Class 3A state champion is a finalist for the national award Gatorade will announced late January or early February. 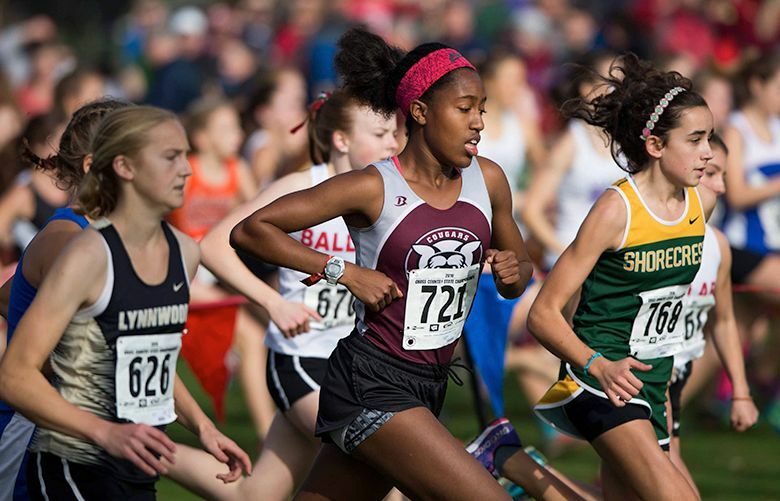 Holy Names’ Jordan Oakes, a two-time Class 3A girls cross country state champion, was named the 2016-17 Gatorade Washington Girls Cross Country Runner of the Year. The organization made the announcement Tuesday. It’s the second time Oakes has received the honor. As a Gatorade Player of the Year, Oakes will be able to select a national or local youth sports organization to receive a grant as part of the Gatorade Play It Forward program. Oakes, a senior committed to Stanford, is now a finalist for the national Gatorade Girls Cross Country Runner of the Year award to be announced late January or early February. Oakes won the individual state championship with a time of 17 minutes, 44 seconds, also leading the Cougars to the state title as a team. She also won the Nike Border Clash, the Nike Portland Invitational and the Nike Hole in the Wall Invitational this season. Oakes took fifth at the Foot Locker West Regional championships and was 31st at the national Foot Locker Cross Country Championships. Gatorade also considers performance off the track in selecting its honorees. Oakes has volunteered locally at the Woodland Park Zoo, the U.S. Youth Soccer TOPSoccer program serving young athletes with disabilities and Jack and Jill of America, an African-American youth-empowerment organization. The Gatorade Player of the Year program annually recognizes one winner in the District of Columbia and each of the 50 states that sanction high school football, girls volleyball, boys and girls cross country, boys and girls basketball, boys and girls soccer, baseball, softball, and boys and girls track & field, and awards one National Player of the Year in each sport, according to a release. Oakes joins past winners Lindsey Bradley (2014-15, Richland), Alexa Efraimson (2013-14, Camas), Amy-Eloise Neale (2012-13, 2010-11 & 2009-10, Glacier Peak), Katie Knight (2011-12, North Central), Alyssa Andrews (2008-09, Gig Harbor), and Andrea Nelson (2007-08, Shadle Park) as athletes who have won the cross country award since its inception in 2007.